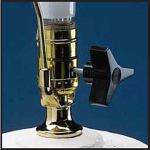 Get the most for your money with Disability Knob & Key Turners from Sportaid. Enjoy a selection that ranges from the Doorknob Extender to the Handicapped Key Turner and much more while taking advantage of Sportaid.com's everyday low prices. Browse through our huge selection of Daily Living Aids or feel free to call 1-800-743-7203 for help choosing the right option today. You'll be glad you did! 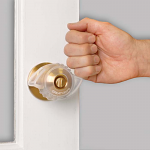 Knob & Key Turners: - Sportaid offers the ideal daily living aids for people with arthritis or weak hands. 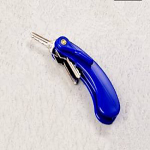 Choose from a variety of Knob and Key Turner at Sportaid.com to accomplish your daily activities with ease and comfort at the lowest prices. Save as much as 31% on Disability Knob & Key Turners with Sportaid! We offer a satisfaction guarantee for all our customers from the first and most loyal to the new and excited. After over 25 years in the business helping people find Disability Knob & Key Turners at the lowest prices, we continue to lead the industry! We carry a competitive selection of wheelchair cushions, wheelchair parts, and wheelchair accessories that puts us in the right place to beat any and every competitor's advertised price. Our customer service staff has over 50 years of experience, plus over 90 years of combined wheelchair use experience. We look forward to working with you! Save big with Sportaid, and Enjoy our Low Price Match Promise.